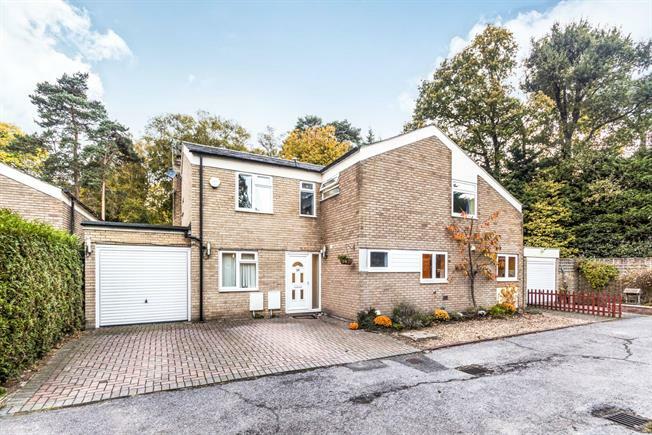 5 Bedroom Detached House For Sale in Bracknell for Guide Price £625,000. A well presented larger than average five double bedroom detached family home, situated in a small quiet close. Comprising of large entrance hall, store room/study, separate dining room, family room and separate living area. Downstairs also comprises of a re-fitted kitchen with ample storage and under floor heating. Also included, integral entrance to double length garage and a conservatory. Further benefits include gas heating via radiators, double glazing, and a larger than average enclosed private rear garden. There is potential to extend further (subject to the usual building and planning regulations).